Expanding into Tidewater — Wetland Studies and Solutions, Inc.
Wetland Studies and Solutions, Inc. is pleased to announce we have expanded our team by acquiring Kerr Environmental Services Corporation (KES) in Virginia Beach. KES’ 16 years of experience, combined with our 27 years of providing natural and cultural resources consulting, allows us to better support the needs of our clients throughout the Commonwealth, and also gives us a fourth location in Virginia in addition to our Maryland office. Bob Kerr, PWS, PWD, founder of KES, is now Director of Tidewater Operations. Bob and Wetland Studies and Solutions founder Mike Rolband, PE, PWS, PWD, LEED® AP, have known each other for more than two decades and have served together on a number of state and federal policy committees, and the firms have worked on projects together. Wetland Studies and Solutions looks forward to expanding our services in the Tidewater region while continuing to provide the full range of natural and cultural resource services necessary for balancing land use goals with resource protection. Contact us to discuss how we can help with your projects. 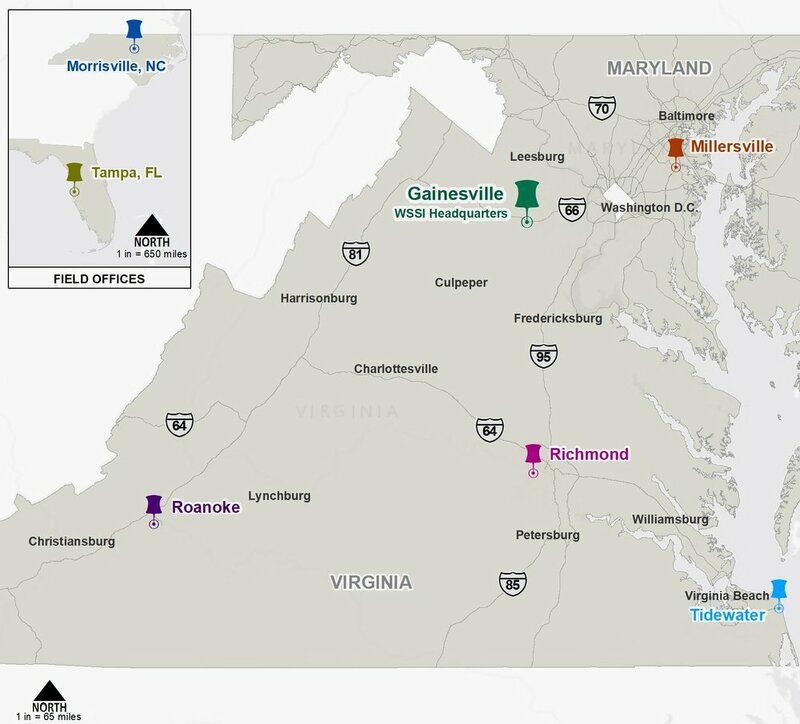 Wetland Studies and Solutions, Inc. now has five full service offices in Virginia and Maryland.